Sarah is an interdisciplinary social scientist working closely with natural scientists, engineers, regulators and policy-makers. Her research and teaching revolves around the responsible governance of science, technology and innovation as it moves from the lab to commercialisation. She takes a qualitative methodological approach to understand the factors that shape the innovation process for emerging technologies, particularly the biotechnologies including GM insects, gene drive, and genome-editing. In addition, Sarah explores responsible research and innovation at a policy and institutional level. Sarah has advised the House of Lords Select Committee on Science and Technology on GM insects and the Nuffield Council on Bioethics on genome-editing. She is currently collaborating with the Biotechnology and Biological Sciences Research Council to improve stakeholder engagement. 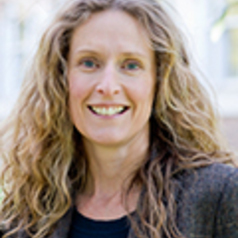 Sarah obtained a PhD in Politics and Environmental Studies with a specialisation in Public Policy from the University of Toronto in 2005. She has an MSc (distinction) in European Social Policy Analysis and a BSc (first class) in Environmental Management and Policy. After her PhD, Sarah took up a professional position at Genome British Columbia, a Canadian funding agency where she established an interdisciplinary social science research programme in genomics and engaged policy-makers, industry and other stakeholders to explore the role of genomics in addressing societal challenges. She has held positions at the Institute for Science and Society, University of Nottingham, Department of Political Science, Simon Fraser University, W. Maurice Young Centre for Applied Ethics, University of British Columbia and Department of Political Science, University of Victoria.